17 January marks the day this celebration takes place in many Costa Blanca towns. 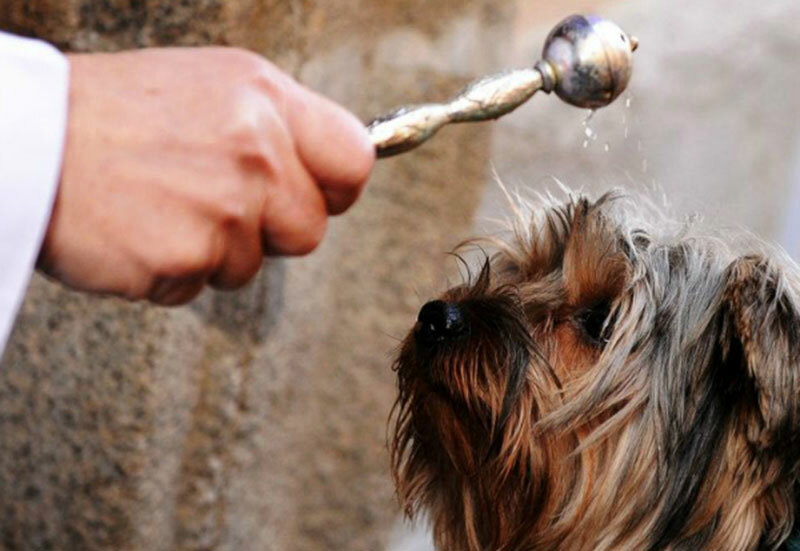 During the festival all types of pets are blessed, this is followed by mascletás, fireworks bonfires, music, parades and traditional food. To mark this date, one of the highest bonfires in the world (standing at around 18 metres) is set up in front of the church of the municipality. This bonfire is burnt on 16 January followed by a parade with ‘festeros’ on horseback handing out thousands of toys. To conmemorate this day, Valencia’s Sagunt neighbourhood organises a popular food market and a traditional animal parade. The previous day at 21.30 a bonfire will also be burnt. Alicante will hold a traditional fair with ‘porrate’ stalls (an outdoor traditional product fair). The fair will be installed around the Plaza de Toros. Animals will receive a traditional blessing and there will also be parades, paellas, costume contests, chocolatada and horse riding exhibitions. The festival starts of on 19 January with children’s games, parades and correfocs. Animals will receive a traditional blessing on 20 January followed by parades, horse rides, food tasting, raffles, mascletá and fireworks. There will be a whole series of performances, children’s games, animation, correfocs, parades, concerts and a bonfire in the town’s Plaza Mayor. In addition to a traditional market (‘porrat’) and animal blessings, the town hosts a livestock fair, a fun fair and a very complete set of cultural and sport activities. Festivities take place around the Emita de San Antón, with a traditional parade and blessing of animals, food, tastings, gymkhana all wrapped up with a concert.